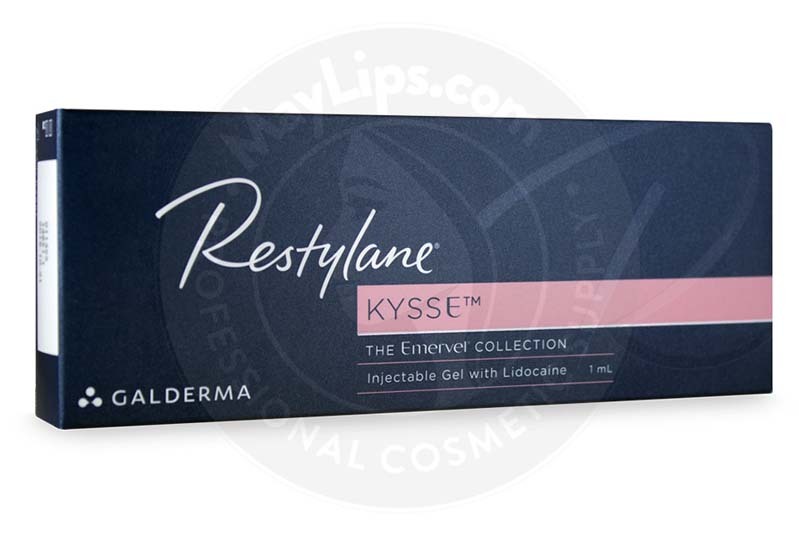 What is Restylane Kysse (Emervel Lips)? Previously known as Emervel Lips, Restylane Kysse enhances the lips—without making them look overdone. 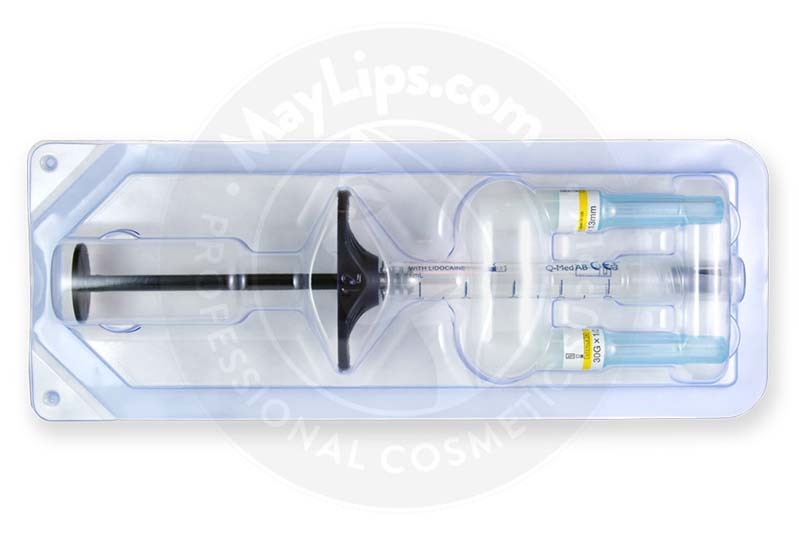 Manufactured under the Galderma brand, this lip filler uses hyaluronic acid to create an instantly augmented look. Hyaluronic acid acts as a cushion between the body’s cells, filling the spaces between them. Because it can hold up to one thousand times its weight in water, it helps to plump the lips, providing a volumized, hydrated look. Restylane Kysse treatments are quick—and they have very little downtime. What’s more, they provide instantly visible results, seamlessly integrating with the lips to fill and define them. What’s more, this cosmetic filler is biocompatible, making it a safe, body-friendly option. Restylane Kysse offers a truly natural-looking result, making it a tried-and-true favourite for patients everywhere. This injectable filler is part of the Restylane family, which is the most studied and documented hyaluronic acid-based line of dermal fillers in the world. Each package contains an individual syringe in a blister, two 30G½” ultra-thin wall needles, and the sterile, biodegradable, transparent gel of non-animal cross-linked hyaluronic acid with lidocaine hydrochloride 3 mg/mL. Each needle has been sterilized using irradiation, and is meant for single use only. It should be stored between 2°C and 25°C, and protected from light and freezing temperatures. Throughout the aging process, the lips begin to thin out and lose definition. This is due to the depletion of hyaluronic acid, which helps to keep skin hydrated and plump. 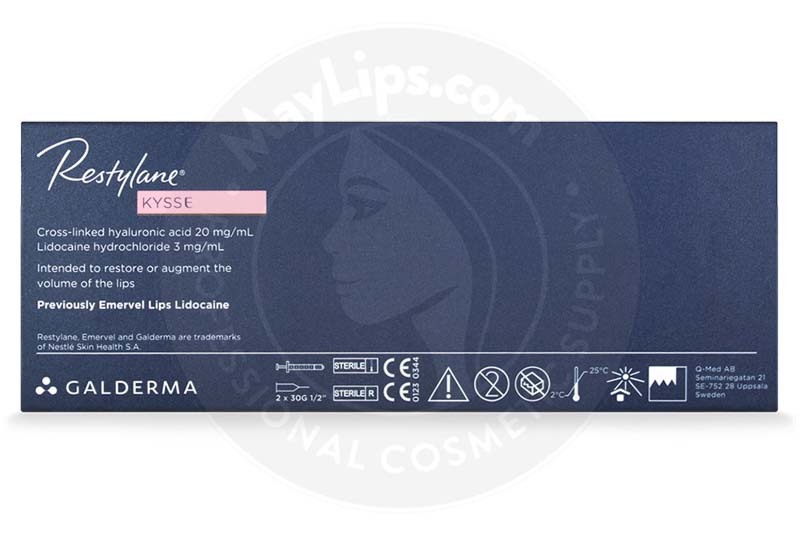 Restylane Kysse, which is made with hyaluronic acid, adds volume and lift to the lip tissue, enhancing the lips with a natural-looking finish. 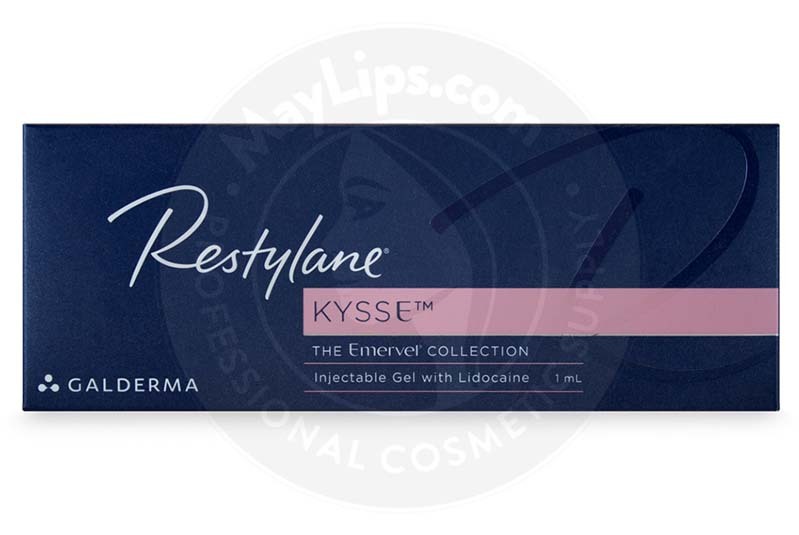 Restylane Kysse’s hyaluronic acid-based formula instantly binds to water molecules in the lip tissue. This works to restore the lips’ lost volume and rehydrate them, giving the patient a revitalized look. Plus, its lidocaine content helps to numb the lips, making the experience more comfortable for both patients and practitioners. Before injecting Restylane Kysse, ensure that the injection site has been cleaned and disinfected. Please note that the needles supplied with these cosmetic fillers are suitable for use. Alternatively, a blunt, thin-walled 25–27G cannula may be used. First, depress the plunger rod carefully until a small droplet is visible at the tip of the needle. Then, align the bevel of the needle by turning the syringe on its axis. If a blunt cannula is used, make an entry point in the skin with a sharp needle of an appropriate size. Ensure that the area is aspirated to reduce the risk of injection into a blood vessel. Inject the product slowly and gently, keeping the side hole of the cannula facing away from the skin surface. A variety of injection techniques, including serial puncture, linear threading, or cross-hatching, may be used. Any defects should be fully corrected during each treatment session. After injection, gently massage the treated area. It is important to note that if any blanching of the skin is observed as a result of over-superficial injection, the whitened area should be massaged gently until it returns to its normal colour. Restylane Kysse should not be injected in areas that are inflamed, infected, diseased, or have been previously treated with filler. It should not be injected intravascularly, as this may lead to embolization, occlusion of the vessels, ischemia, or infarction. Immediately stop the injection process if the patient experiences a change in vision, signs of a stroke, blanching of the skin, or unusual pain during or shortly after the procedure. After treatment, the patient should avoid exposure to both extreme heat and extreme cold until all signs of inflammation have disappeared. Additionally, laser treatments, chemical peeling, and other treatments that elicit an active dermal response may cause inflammation at the injection site. Patients should not undergo these procedures after injecting Restylane Kysse, and should be fully healed from them before using this filler. The effects of Restylane Kysse have been shown to last between 6 and 9 months. However, results may vary from patient to patient. Restylane Kysse has been extensively tested to ensure its safety. However, patients with known allergies to hyaluronic acid or amide-type anaesthetics should avoid this cosmetic filler. What’s more, individuals with poryphria, bleeding disorders, healing disorders, and inflammatory or infectious cutaneous problems (such as herpes or acne) should not use this face filler. Those who are pregnant, breastfeeding, or under the age of 18 should not be injected with aesthetic fillers. Patients who are taking thrombolytics, anticoagulants, and immunosuppressants should not use Restylane Kysse. Moreover, lidocaine should be used cautiously in patients with epilepsy, impaired cardiac conduction, severely impaired hepatic function, or severe renal dysfunction. In order to minimize risk and reduce the chances of potential complications, only health care practitioners with appropriate training, experience, and knowledge should administer Restylane Kysse. The use of Restylane Kysse may result in minor injection-related reactions, including swelling and pain. However, these side effects generally resolve themselves within one week post-injection. Restylane Kysse is made from hyaluronic acid, which is naturally produced in the body. Hyaluronic acid has an innate ability to bind and retain water molecules, making it a necessary component in the maintenance of hydrated and healthy lips. During the aging process, the body’s hyaluronic acid levels greatly diminish. This causes a loss of volume, hydration, and definition in the lips, giving them a thin, aged look. By injecting hyaluronic acid back into the lips—such as that found in Restylane Kysse—they appear fuller and healthier. What’s more, this facial filler is made with lidocaine for improved patient comfort. This anaesthetic is used to treat minor discomfort associated with cosmetic injections, working to decrease pain by temporarily numbing the affected area. Name: RESTYLANE™ KYSSE™ (EMERVEL® LIPS). Ingredients: Hyaluronic Acid 20mg/mL, Lidocaine Hydrochloride 3mg/mL, Physiological Buffer pH 7 qs ad 1 mL. Volume & Packaging: 1 pre-filled syringe of 1mL. Also Included: The box contains 2 x 30G 1/2" sterile needles. Package insert. 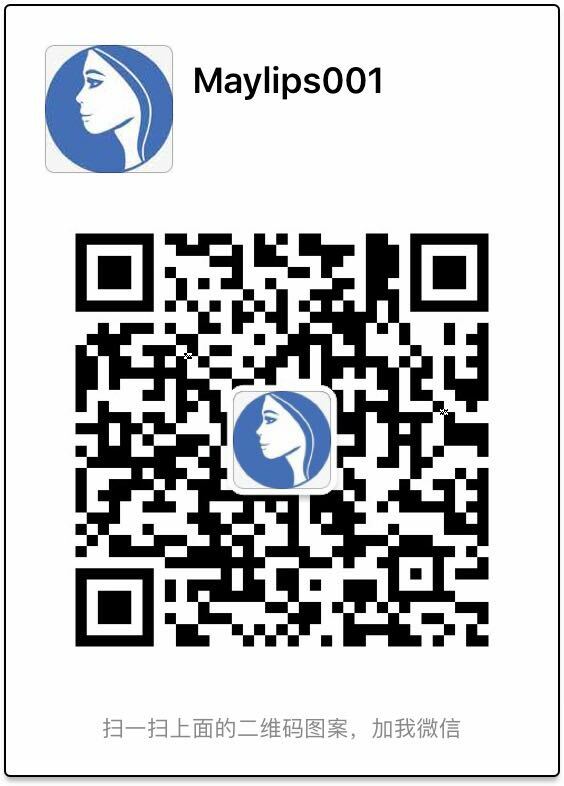 Storage: Store at between 2℃ and 25℃, do not freeze, keep away from direct sunlight.